Until last winter, I had not tried pumpkin soup. On a cold, rainy day, we went shopping. By lunch, we were starving. We went to a sandwich shop. Their soup of the day was pumpkin. I really wanted soup with my sandwich to help me warm up, so I decided to try it. Wow, I loved it and regretted not having had it before. 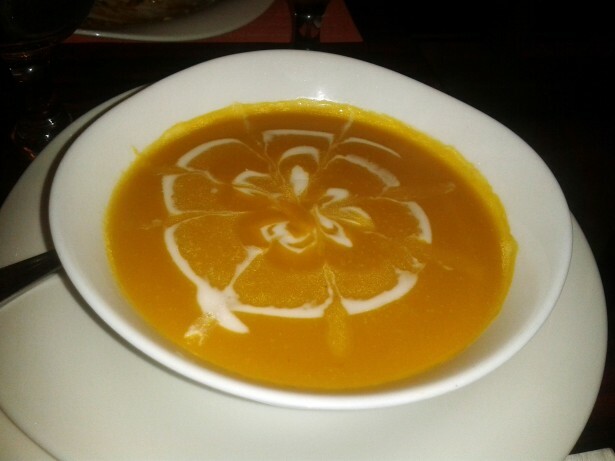 Pumpkin soup is great! Combine all ingredients except butter, cream and rum extract in a large sauce pan. Bring to a heavy boil, then reduce heat to a simmer. 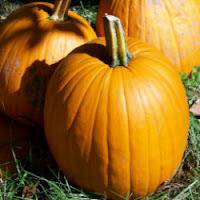 Cover and cook until pumpkin is tender, about 15 to 20 minutes. Put pumpkin mixture in a blender and puree. Return to pan. Add butter and beat in with a wire whisk. Add heavy cream and rum extract. Gently blend with wire whisk. Thin with chicken broth or cream if the soup is too thick. Reheat and serve. Serves 4 to 6.